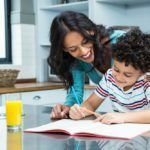 How do child custody and timesharing work in the Florida family law courts? 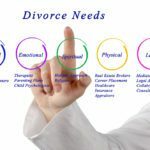 As an Orlando Child Custody Attorney and Orlando Timesharing Attorney, it has been my experience that child custody and timesharing are among the most contentious legal matters/issues in a Florida divorce or paternity case. When you are ready to fight for the right to have more time with your children, call the Jacobs Law Firm. Divorce and family law Attorney Jonathan Jacobs is ready to fight to protect your rights. Child custody law is complicated, and with good reason. The Florida Legislature and the Florida Courts have declared that the foundation for timesharing law is what is in the best interests of the children. As a Custody Attorney and Orlando Timesharing Attorney, I can unequivocally state that the overriding standard for child custody and timesharing case in Orlando and throughout all of the State of Florida is what is in the best interests of the child. The best interests of the child is a somewhat nebulous (arguable) phrase. This is because there is no one absolute definition or perspective of what is in the best interests of the child. All families are different and unique which makes determining what is best for the kids a challenge, and one that we are ready to meet with you when you need experienced legal representation. The courts prefer that both parents play a role, whether substantial or limited, in the children’s lives. This may include shared parental decision-making authority, or in limited cases when circumstances warrant, sole-parental responsibility. 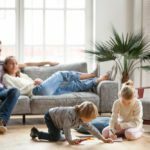 There is a preference that both parents enjoy substantial overnight time with the children, but this often leads to custody battles that can be avoided through a willingness to compromise for the best interests of the children. Custody Attorney and Orlando Timesharing Attorney Jonathan Jacobs would love to hear from you about your custody situation. This brings us to another fine distinction which you should be aware of. “Physical” custody over a child is determined by the number of overnights the children spend with each parent (timesharing). “Legal” custody pertains to issues concerning the education (school designation), religious upbringing, health/dental/vision insurance for the children, and other major decisions that may need to be made for the health, welfare, and safety of the kids. One parent may have a majority of overnights with the kids, but this does not preclude the other parent from being heavily involved in his/her children’s lives. Certainly, child support may factor into the parties’ decisions when deciding how many overnights they will spend with their children. 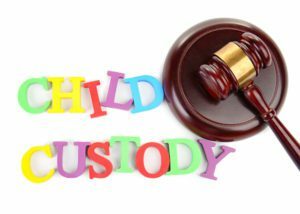 Custody Attorney and Orlando Timesharing Attorney Jacobs knows that child custody determinations are based on a number of statutory factors. Some of the most prominent factors are the health, safety and welfare the children. For example, Are the parents living in a safe place, with a nurturing environment? Are the parents in constant turmoil and conflict with one another? Are the parents actively engaged in the daily lives of their kids? 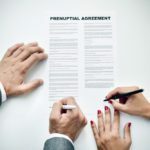 These are just some of the evidentiary factors the court will look toward when evaluating arguments as to who the parent most suited to have majority timesharing will be. Jonathan Jacobs is an Orlando Child Custody Attorney and Orlando Timesharing Attorney that loves working with families to achieve fair and reasonable solutions that are in the best interests of the children. Call today for your free consultation. We pride ourselves on being an affordable family law firm.